The second installment of the Baahubali series, Baahubali: The Conclusion has been steadily achieving feats and breaking records. Today, the film reaches 25 days in theaters, and for the large project, this is a minuscule achievement. But, the interesting factor here is that Baahubali 2 has beaten Rajini's Kabali and Vijay's Theri big time by having an enormous number of shows even in its 4th weekend in Chennai. Theri had an average of around 40 shows per day in its 4th weekend, while Kabali had around 35 shows a day. 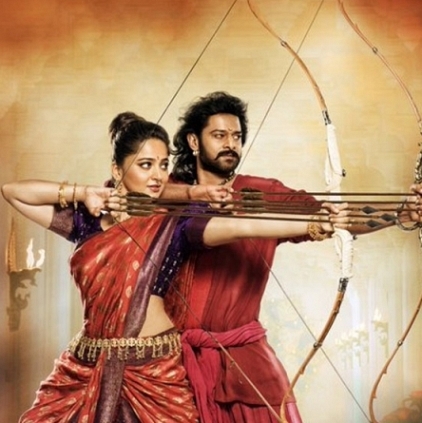 Baahubali, running successfully in its 4th weekend has an average of a whopping 125 shows per day. A.R.Rahman reveals the core plot of Sangamithra! Is the Mayakkam Enna girl Richa ready to make her comeback? A movie named after Malayalam superstar! Happy: Naagini fame actress gets married! 2 more powerful additions to the epic Sangamithra! Hot Breaking: Nenjam Marappathillai finally gets its release date! Samantha to get married on this date! Epic: Marudhanayagam to be revived? Kabali Rajini, Theri Vijay Or 24 Suriya? | Guess Who Wins The People Choice Award? People looking for online information on Baahubali, Kabali, Prabhas, Rajinikanth, SS Rajamouli, Theri, Vijay will find this news story useful.